Normal life is already busy. Planning a wedding on top of everything else you have to do is enough to drive a bride to madness! 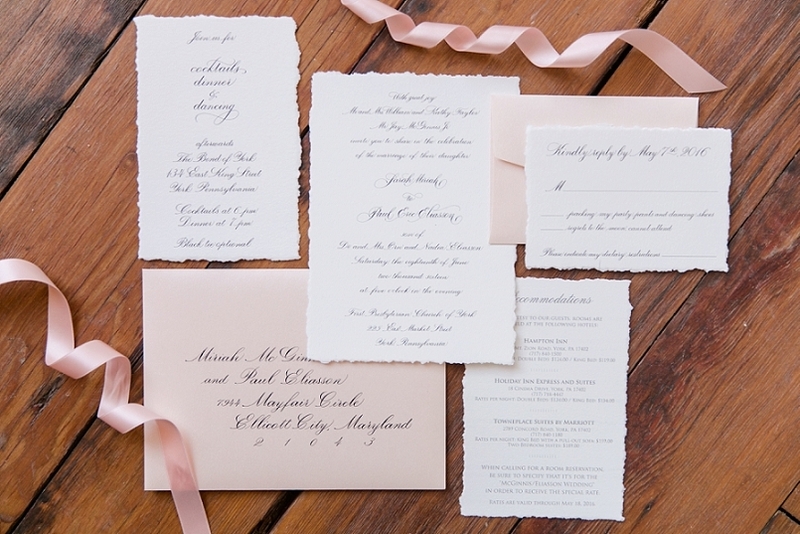 Why not make it easy on yourself and let Persnickety address your gorgeous invitations for you? Persnickety is pleased to offer digital and hand addressing services in our studio. We can address any type of invitation you need- weddings, bridal showers, baby showers, birthday parties- you name it! We try to match ink colors and typestyles from the invitation itself as closely as possible when digitally addressing so that your whole invitation set blends beautifully. Pricing varies based on writing style, envelopes, and ink color. 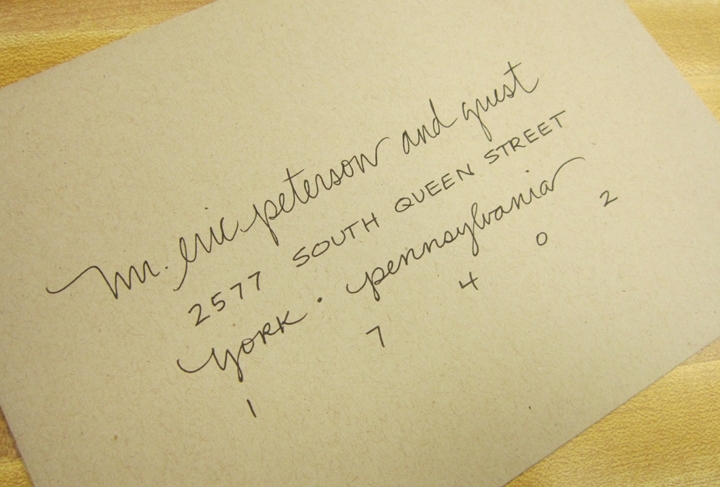 Give Persnickety a call and schedule an appointment to discuss any addressing you need. 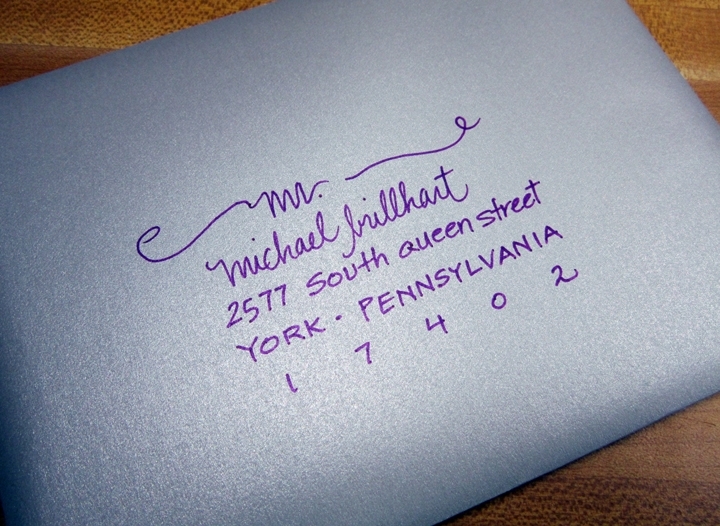 Feel free to bring us a sample of your invitation and your envelopes when coming in so we can get an idea of how to best address your envelopes. Let Persnickety take the stress out of addressing and help you have the happiest of all mailings!